PetroNeft (AIM: PTR) an oil & gas exploration and production company operating in the Tomsk Oblast, Russian Federation, and 50% owner and operator of Licences 61 and 67 is pleased to announce that it has commenced drilling the S-375 delineation well at Sibkrayevskoye. The S-375 well is being drilled on the northern structural lobe of the field approximately 2km south of existing wells that contained about 10m of net pay. If successful, it should lead to the development of the Sibkrayevskoye oil field commencing in 2018. Drilling has now commenced and it is expected to take up to eight weeks to drill and test the well. 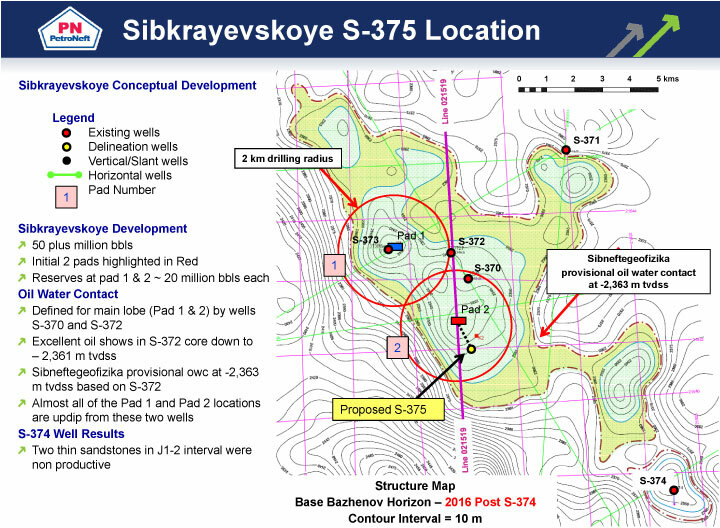 The Sibkrayevskoye oil field is estimated to contain over 50 mmbls of 2P reserves (>25 mmbbls net to PetroNeft).